Everyone is always looking for ways to stand out from the competition especially when searching for a job. Well what happens when you take some time off to travel? You just quit your job because they didn’t want to grant you a leave of absence for your European adventure that you finally decided to take. You feel fine with quitting because you are confident that you have great skills and will find a job fairly easily when you return. Well a year has passed and you’re updating your resume and have no idea how to explain this gap in employment. A lot of people try to disguise their travels as experience and categorize it under “Employment History” in the resume. I don’t care how difficult it was to negotiate with street vendors or how you had to adapt to flight cancellations and as a result needed to sleep in the airport. You were still not employed so you can either create a new section called “other experience” or put it down under “interests”. You have probably learned how to better communicate, adapt to various conditions and have become a better financial planner because of your travels and this is what recruiters want to learn about. Thousands of people are traveling around the world and meeting interesting people, learning about different cultures and learning different skills and languages. More and more companies are finding these soft skills invaluable. It’s honestly refreshing to see people having a live. I think there’s a misconception that companies just want “bums in seats” and 9-5 clock punchers. Well, that may have been the case 30 years ago but today’s 21 century organization wants happy, well rounded employees. Organizations are realizing that work-life balance is extremely important and vacation and time off helps people to recharge. 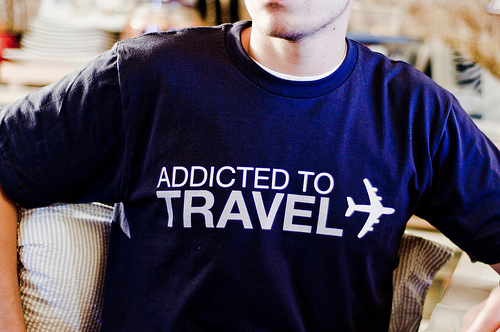 People who travel seem to be more patient and understanding of different cultures. They are more flexible, easy going and have a desire to learn. Companies are looking for independent thinkers, people who are motivated and have goals and ambition. All of these qualities you will find from a person who has taken time and travelled. This is where you can really talk about your experience during your travel. I don’t mean attaching a mini slideshow of your best photo’s but explaining to the organization why you decided to travel, what you learned and how all these new experiences makes you a more confident, independent, self motivation individual. Do You Have to Mention your Travels on your resume? If you have travelled for more than one year. Anything less then that is not relevant. Would you please address how to explain a career of travel employment. I have worked for 14 years as a travel– contracted Healthcare Manager, and now I’m looking to change careers for a perm job. It is difficult doing a job history in that it looks as if I have not been stable. I don’t know what new career you’re interested in pursuing but I would begin with developing a strong brand. This should only be 2-4 sentences long and should emphasis your management skills, your experience, your career goals and of course your love for travel. Once you create a strong brand your job history should make more sense to any recruiter and your instability should not be questioned. Remember you want your resume to highlight the fact that your independent, a self motivator and flexible. If you need help please take a look at my services page and thanks for leaving a comment. I am looking to get into the hospitality (hotel) industry being taking 5 years out of the workforce. I’ve travelled around the world with my partner who is a partner in a large accounting firm. The experiences were priceless and I am a totally different person for these experiences. We travelled first class and 5 star everywhere, and I’m sure the hotels, lounges, and restaurants of this caliber would make an impression on the hiring managers of the fine hotels I’d like to apply to. How do I make the most of these invaluable trips and at the same time showcase my skills. I had worked in the industry in my 20’s (i’m now 35), so i do have some experience. I’ve taken bar tending, wine, and computer courses etc. It seems you need to have recent and extensive experience to break into this job force. But I can spot bad service, food, and customer skills a mile away after being spoiled! I also think your travel experience is priceless and you just need to know how to package and sell yourself to the companies/hotels you want to work with. If I were you I would compile a portfolio of photo’s that would help you showcase not only your experiences but what you can bring to the table for these companies. Obviously you need to re-vamp your resume but once that’s done it’s all up to you. You need to show confidence because the hospitality industry wants to hire decisive, confident, problem solvers who have amazing customer service skills. Hope that helps and don’t focus on recent experience to break into this job force. You are bringing something unique and they will love you!!!! Good Luck!